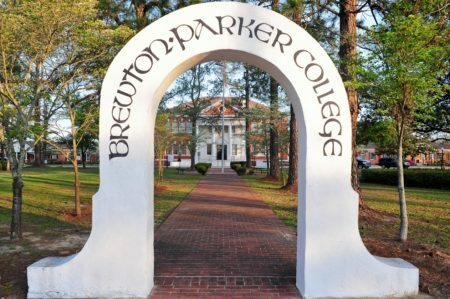 BREWTON-PARKER COLLEGE was founded in 1904. 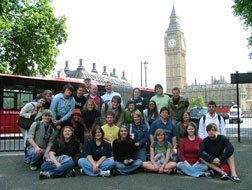 Its mission, as a Georgia Baptist college, is to develop the whole student through the application of Biblically-centered truth to a liberal arts curriculum in a community of shared Christian values. Located in Mount Vernon, GA, Brewton-Parker's main campus provides support in every area of the academy. Whether it is in the classroom, or in the dorm, students find a family ready to help them achieve their dreams. BPC offers 16 athletic teams, a 12:1 student-teacher ratio, and a committed faculty. Approximately, 98% of students receive some form of financial aid. Carlos - "I enjoy the peace around campus, the personal attention I receive from professors, and the people I meet on campus." A'ndrea - "It fills me with hope to know that I am a change agent, and that students will not only walk away from courses with a greater level of knowledge, but also increased commitment becoming better people." Musicians from Brewton-Parker College’s prestigious Division of Music, based in Mount Vernon, Ga., filled the world with song and praise with three separate international performance tours in England, Moldova and Russia this summer. The BPC Chamber Choir, a 26-member choir comprised of students and two faculty members, performed five concerts in historic cathedrals and manors across the English countryside during their May tour. 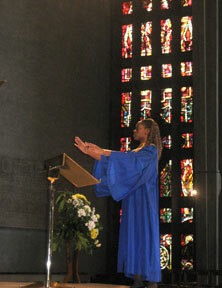 Senior Brejoya Perry, a church music major, summarized the experience as “one of a lifetime,” adding “one of the most exciting things as a musician was being able to sing in cathedrals of composers, performers and important figures we only study about through textbooks. To be able to stand, sing and especially conduct in the places where those important people roamed was absolutely overwhelming." Former long-time Music Division chair and current part-time consultant to the president for external relations, Hildegard Stanley, was a member of the Jubalheirs trip to Moldova in June. The trip included music concerts, medical care clinics and one-on-one visits with children and adults in locations such as a summer camp for orphans and a music conference Stanley helped lead Moldovian Christians at a seminary in Chrisinau, Moldova, Stanley said. Brewton-Parker College is the only accredited, four-year Christian college in South Georgia.